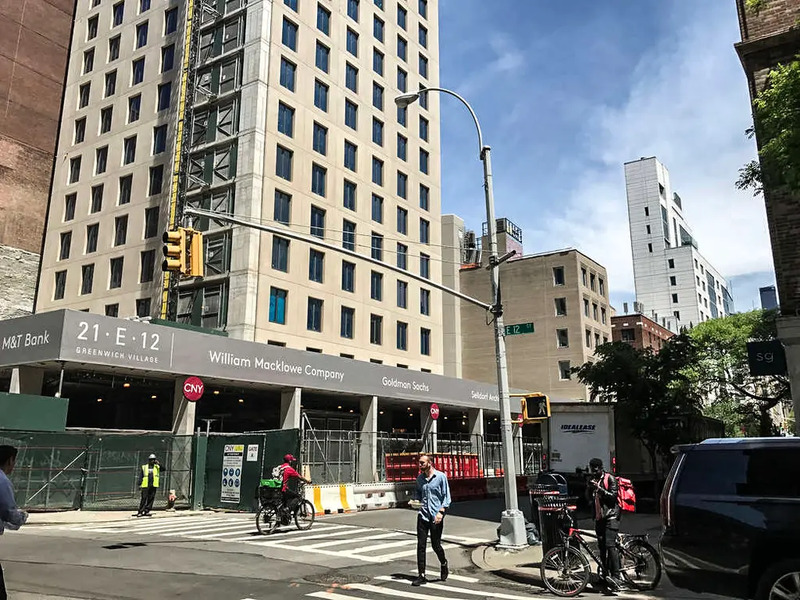 Seemingly from the time it was announced, all eyes have been on 21E12, the 22-story condominium on the corner of University Place and East 12th Street. The real estate community, design aficionados, and Greenwich Village residents alike have been curious to learn what would replace local institution Bowlmor Lanes and eager to see what Annabelle Selldorf’s latest building will look like. 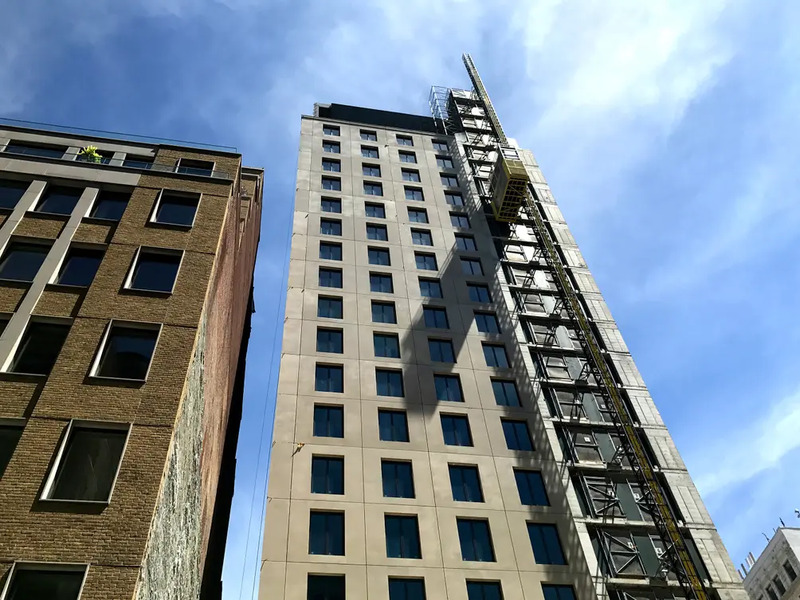 Construction topped out last October, and a recent site visit shows that the warm, sandstone-colored façade is almost all the way up. 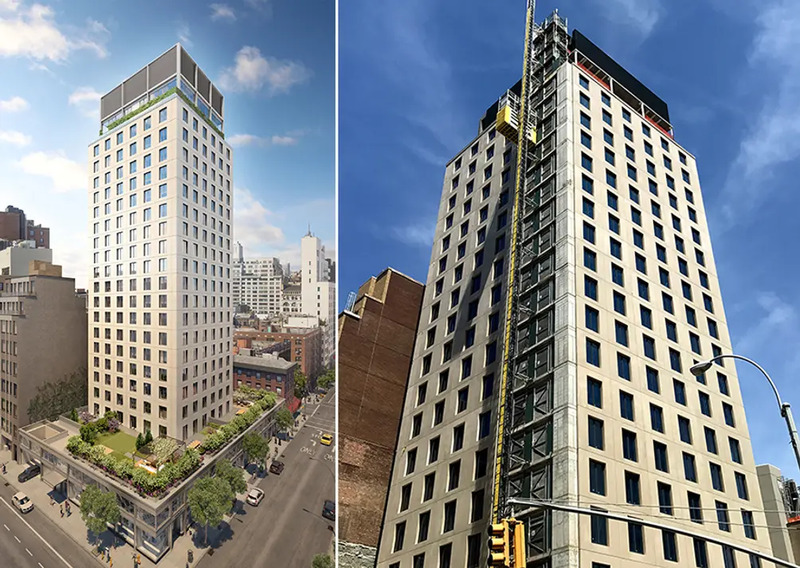 However, buyers aren’t willing to wait until construction is complete: 40 out of 52 apartments have already entered contract, and the building's penthouses and townhomes are included in that number. Of the remaining listings, one-bedrooms start at $2.55 million and two-bedrooms start at $3.975 million for an average of $2,712 per square foot. 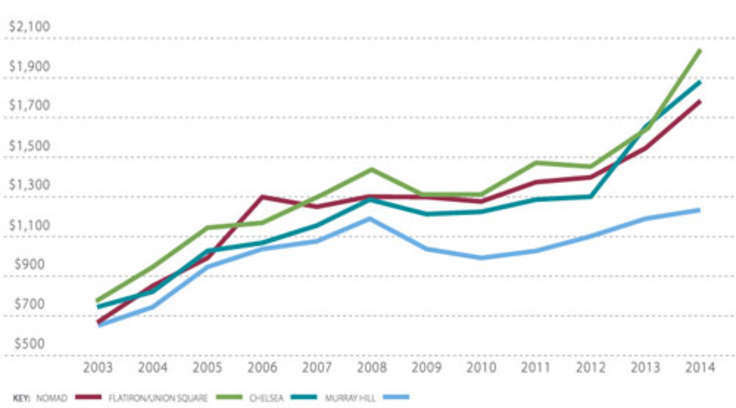 CityRealty data reports that this is above the Greenwich Village average of $2,296 per square foot. 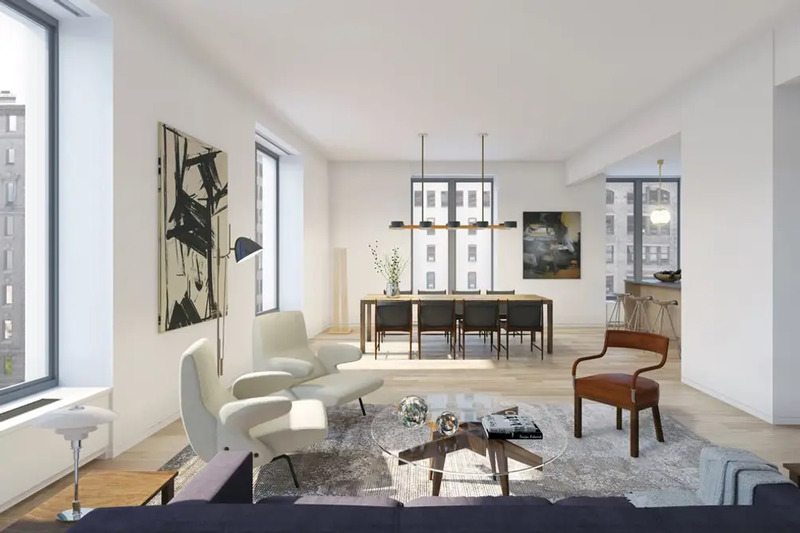 However, the impeccable design credentials and location near Union Square and the Greenwich Village Historic District are powerful draws, as are luxe amenities that include a lounge with private garden, a fitness center, and on-site parking. The apartments themselves aren’t to be ignored. With no more than three units per floor, all homes have corner locations and optimal light. 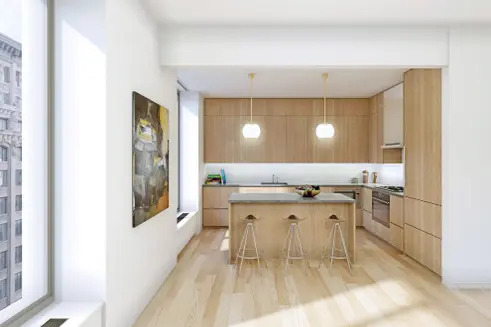 Apartment #7A, a two-bedroom, two-bath listed for $4.175 million, is filled with sunlight all day from northern and eastern exposures. Features also include oversized casement windows, wide plank oak flooring, and an in-unit washer/dryer. Its windowed kitchen has a dining island, custom cabinetry, a sizable pantry, and a Gaggenau appliance suite. 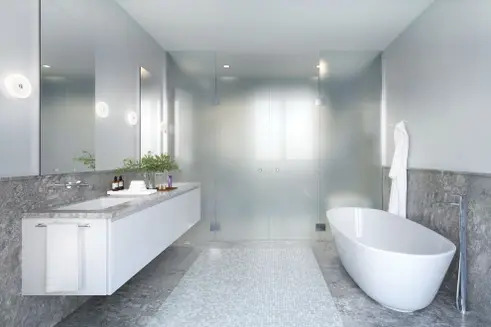 The master bedroom comes with a walk-in closet, generous dressing area, and an en-suite marble bath with Murano glass mosaic inlay and heated floors.